*Our product range includes a wide range of Beaded Tassel such as Beaded Tassel BT54, Bead Tassels, Beaded Tassel BT59, Beaded Tassel BF217, Beaded Tassel BF216, Beaded Tassel BT53 and many more items. 1)Size Tassel 3" & Loop 3". 5)Any colour & size we can make. Packaging Details: Standard pacakge according to customer's request. 5)We can offer different colors according your demends. 1)Size Tassel 3" & Loop 4.5". 3)Size could be done as customer's request. 4)We can offer different colors according your demends. *Size Tassel 3" & Loop 3". Size Tassel 3" & Hanger 1.5"
Delivery Time: 15 Days for M.O.Q. 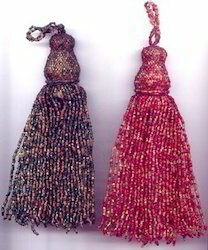 1)Size Tassel 2" & Hanger 2". *Size Tassel 4.5cms. & Hanger 6cms. 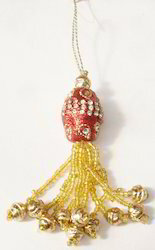 1)Size Tassel 12cms. & Hanger 7cms. 3)Material - Beads & cotton. 1)Size Tassel 5cms. & Hanger 9 cms. 1)Size Tassel 3.25" & Loop 3". Size Tassel 4.5" & Hanger2". 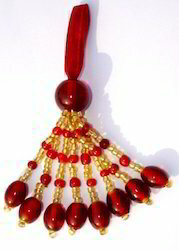 1)Size Tassel 5.5cms. & Hanger 5.5cms. *Size: 3.5" Loop 2.5" Tassel (25 Lari). 1)Any colour & size we can make. 3)We can make them in any color of your choice. *Size Tassel 4" & Loop 3". 1)Size Tassel 4" & Loop 2". *Size Tassel 4" & Loop 3.25". 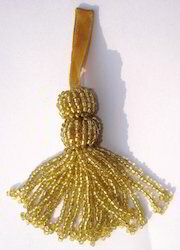 Size 2.75" Tassel & Hanger 1.25". 1)Size Tassel 5cms. & Hanger 6cms. *Size Tassel 4.5" & Hanger 2.5"
1)Size Tassel 4" & Hanger 3". 1)Size Tassel 4.5" & Loop 3". Size Tassel 3" & Hanger 3"
Packaging Details: Packed individvally in poly bags with bubble sheet on tags. 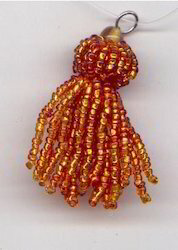 Beautiful beaded tassel 5"/3" for attachment / embellishment on garments or home furnishings-curtains or cushions. 1)fashion design and hign quality. 2)lower price compared with others. 3)your sample and design are available. 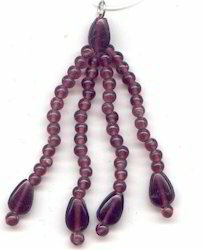 Beaded tassel 6. 5"/1. 5" mainly used to decorate sofas, window curtains, cushions borders, craft projects, costumes, wedding ring pillows, keys. 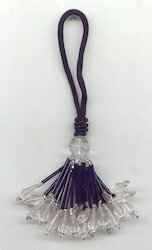 Beautiful beaded tassel 5"/1. 5" for attachment / embellishment on garments or home furnishings-curtains or cushions. Looking for Beaded Tassel ?